I was born in Newcastle, NSW. 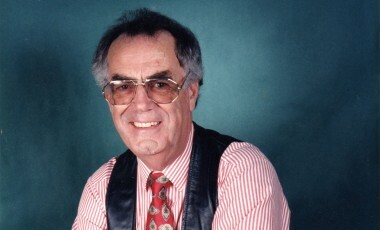 I was coached by what I consider to be the best voice in radio whilst attending Primary School. His name was Peter Pickhover and he was the Program Manager at 2KO. I began my career in commercial radio in Newcastle in 1956 working for two separate stations. I took a break from the radio industry when I moved to Avalon Beach in Sydney where I worked on the Manly Daily as a sales consultant. I was then offered a position with a record company which gave me the opportunity to travel around NSW. After retiring some years later, I returned to Newcastle and found that I missed broadcasting so much that I looked for an opening in community radio. Since then I have worked on several community radio stations in two separate states. Having settled in beautiful Forster/Tuncurry, I now enjoy bringing you ‘Sounds Easy’ every Sunday between 6:00pm and 10:00pm on Great Lakes FM.